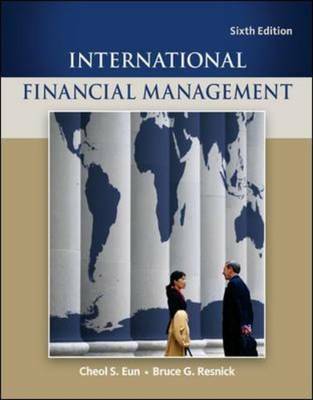 "International Financial Management" is written based on two distinct parts: emphasis on the basics and emphasis on a managerial perspective. As capital markets of the world become more integrated, a solid understanding of international finance has become essential for astute corporate decision making. "International Financial Management, Sixth Edition", provides students with a foundation for analysis that will serve them well in their careers ahead. The decision-making process is presented through the text with the goal of teaching students how to make informed managerial decisions in an evolving global financial landscape. "International Financial Management" has been completely updated with the most current data tables and statistics in the field today.